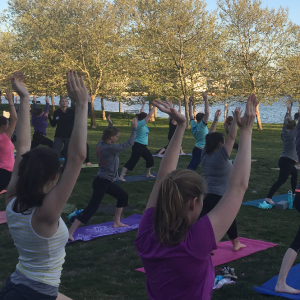 Baltimore Yoga - Join Volo City for the best Baltimore yoga while meeting new people! 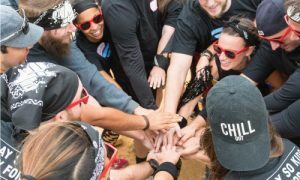 Looking to get active and social in Baltimore? 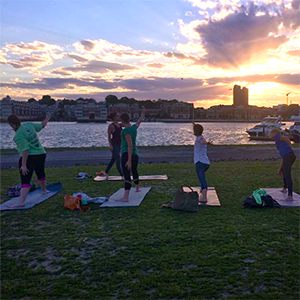 Look no further and join Volo City’s Baltimore yoga! 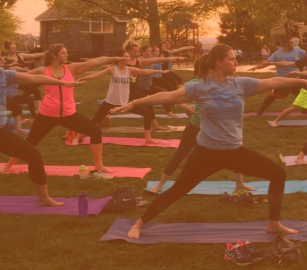 Participants will gather each week for a super social, fun and healthy hour long yoga class followed up by happy hour afterward with your fellow classmates. 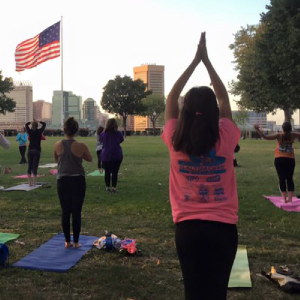 Baltimore yoga classes are held outdoors in unique locations throughout the city for all levels of yogi’s to enjoy. Check Back for Glow Yoga! Sign up as a free agent! Bring a yoga mat or towel – and water of course! …and other awesome Volo City member perks!